It goes without saying that poker is one of the most popular games of chance, whether it be at one of the many land casinos or online. Internet poker is legal and legislated in several nations; this includes some of the Caribbean nations and the United Kingdom. In America the laws pertaining to gambling are different from state to state and all participants of gambling activity will want to be sure to read the state gambling laws available on USA Gambling Laws. The North Dakota House of Representatives passed a bill in February of 2005 to legalize and control Internet poker and Internet poker cardroom managers in the state. According to this legislation, no part of these Internet poker companies could physically exist or operate beyond the state boundaries. When he testified before the state Senate Judiciary committee, the CEO of Sportingbet and owner of Paradise Poker, Nigel Payne, promised that he would relocate to the state providing the bill became law. But the measure failed to pass the State Senate in March 2005 when the U.S. Department of Justice contacted Wayne Stenehjem, the North Dakota Attorney General, to inform him of the questionable legal status of Internet gaming and the possibility that pending legislation could conflict with the federal Wire Act. However, the legal profession disagrees with the DOJ's theory. This has resulted in an interruption of any advertising by the major Internet poker sites in the American market; this interruption can be traced to DOJ statements made about Internet poker's legality. As an alternative, these companies constructed "dot-net" sites, which are similar sites, although there is no actual money gambled. These sites prominently proclaim their status as "schools," or free locations from which to learn the game, and their non-gambling policies. The SAFE Port Act, signed by President Bush on October 13, 2006, was initially intended to enhance security at U.S. ports. The Unlawful Internet Gambling Enforcement Act (UIGEA) was attached to the Safe Port Act of 2006. The UIGEA defines "unlawful Internet gambling" as transmitting, receiving, or placing a bet through the Internet from a state that prohibits gambling. Because of this, American financial institutions are ineligible for online gambling site business. Many publicly traded poker gaming companies - among them bwin, PacificPoker.com, and PartyPoker.com - chose to stop doing business in the U.S. after this bill was passed. A number of U.S. players are still able to play online for real money or even open new accounts as some operations remain open. These companies have lost a lot of stock value due to the work of the UIGEA. After the UIGEA was passed, the Poker Players Alliance (PPA) accepted former Senator Al D'Amato as a member. Among the aims of the PPA is to safeguard and support the legality of Internet poker. Among Senator D'Amato's responsibilities is Congressional lobbying. The PPA had over 1,000,000 members by April 2008. In October 2007, only 800,000 members were enrolled in the organization. There have also been other grassroots organizations opposed to the UIGEA, such as the Safe and Secure Internet Gambling Initiative, which argue in favor of legislation that protects customers and their right to gamble online with safety and surety. In November 2008, Treasury Secretary Timothy F. Geithner with Federal Reserve Chairman Ben S. Bernanke postponed the compliance date for the UIGEA until June 2010. With this action, regulations which would have compelled the financial services sector to comply with cumbersome rules meant to stop illegal Internet gambling transactions were blocked. The House Financial Services Committee, on July 28, 2010, passed H.R. 2267 with a vote of 41-22-1. 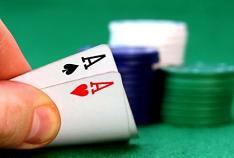 The bill would allow and control Internet poker within the United States. In the Fall of 2010, The Washington State Supreme Court upheld legislation that made Internet poker a felony. On April 15, 2011, in U.S.A. vs. Scheinberg et al. (10 Cr. 336), Full Tilt Poker, Absolute Poker, and Poker Stars had their bank accounts seized and their websites shut down by the FBI. Eleven defendants, some poker site founders, have been charged with violating gambling laws, money laundering, and bank fraud by a grand jury. The prosecutors are arguing that the sites deceived and bribed American banks with the promise of Internet gambling profits, which would have been against the letter of the UIGEA. Former Senator D'Amato spoke out for the PPA shortly after. D'Amato clearly stated his position, affirming his belief that Internet poker playing was not a crime. Though he did not respond to the specific charges, D'Amato responded to the Washington Post after affirming that the "full facts" would become available. Gambling law experts also criticized the Department of Justice, among them being Professor I. Nelson Rose. There really is no simple answer to whether or not gambling is legal in the United States. There are so many restrictions on USA playes that it becomes much more of a hassle than it's worth. Luckily for you, we have dedicated an entire site to providing all the information available on legal gambling in the United States. While the gambling laws vary from state to state and are often changing, players can rest assure that there is one way for players to legally gamble in the United States through one of the many gambling sites found in our USA poker reviews section.